I think I live in one of the most beautiful places in the world and I was planning on highlighting Vancouver for this theme. But it seems I don’t have anything that I have not posted before so this is Plan B. My garden has become quite shady over the years and it is not great for growing roses. One by one I have reefed them out till there was none. But this year I was suckered into buying a new one on a visit to the nursery and it is in a container in a spot that might get enough sun to do well enough. It is called Hot Cocoa. How weird is that? It has no scent to speak of which is a shame. But it is certainly floriferous and is very beautiful as you can see. 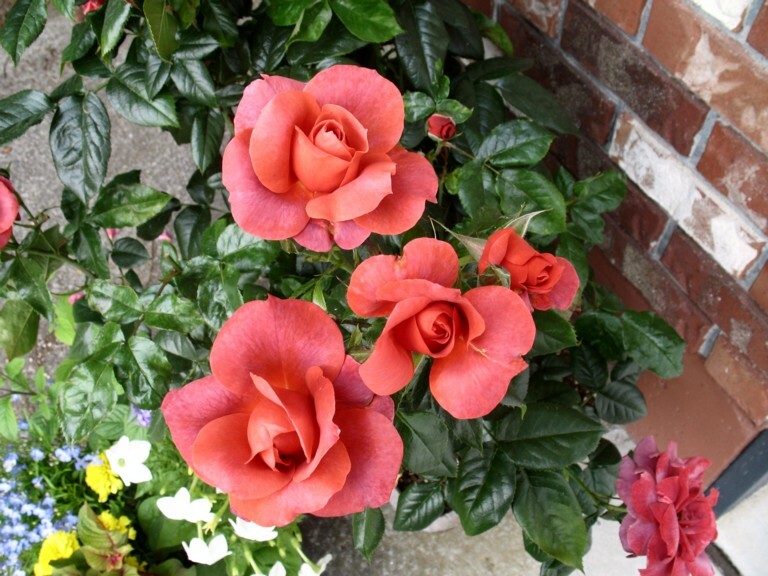 The ‘Hot Cocoa’ rose is an award-winner with a blossom characterized by a smoky, almost chocolate color, and it blooms in a cluster. But what colour is it exactly? Maybe it’s chocolate. Maybe it’s smoky or brick or russet, the colorful hues vary with different climates. Oh and check out my header before you leave, in case you have never noticed it. Beautiful Vancouver. Of course one has to follow up, or be judged a “one hit wonder”… As before I am seeking inspiration… while I wait for it ^_^ I thought I would mention a book I just read and really enjoyed. This may be more a post for the girls in general, to start, but should turn out to have something for everyone, so don’t despair guys. Now I am an avid reader and I do like a nice feelgood romantic novel. Life is so full of bad stuff anyway that I find gritty drama, where everyone has a horrid time, just a bit like more of the same. 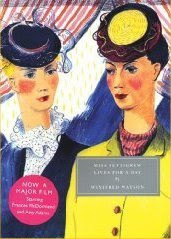 So anyway, a while back I found myself browsing my local RL bookstore and came across a book called Miss Pettigrew lives for a day by Winifred Watson. (ISBN-10: 190646202X, ISBN-13: 978-1906462024). It is a reprint, originally published in 1938, set in London, England. A world that was on the brink of war, but did not seem to realise what it was in for. The book follows one day in the life of Miss Pettigrew, like a fly on the wall documentary. Sort of if you had described the idea of a Michael Crichton TV script to Noel Coward and asked him to write it. A day it turns out is pivotal for many of the characters, including the heroin Miss Guinevere Pettigrew. 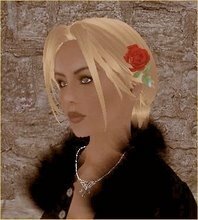 She is a down on her luck Governess who, having suffered a sucession of dreadful employers and short on her rent, accidentally gets sent by her agency to the wrong job interview. Well as soon as she arrives, and before she can get a word in edgeways, she is plunged into a situation that she handles brilliantly ‘by the seat of her pants’, saving Miss LaFosse from certain disaster. The story continues at this pace as Miss Pettigrew uncharacteristically throws caution to the wind and is plunged/dragged helter-skelter into the pre-war in crowd, by Miss LaFosse and her friend Miss DuBarry, proprietoress of a beauty salon, solving seemingly impossible problems for them as she goes, using a mixture of luck and common sense. It would not be revealing too much to say that this is a delightful feelgood read that keeps the pace and interest up throughout. I thoroughly enjoyed it, I do recommend it. It has been made into a movie, but I have not seen that so can’t comment. The only slight jarring note in the story, from my point of view, rather rammed home the concept that the past really can be another country in some ways. This pleasant little story hinted a couple of times at an underlying assumed prejudice of the time in relation to Jews, and ‘foreigners’ in general, that are quite alien to, at least my, general experience today, though it could be others might not have the same experience. Maybe that alteration in attitudes is something positive that came out of WWII. It worries me to think that, possibly justified by the situation in Palestine, such attitudes may be becoming acceptable again, within certain religious, political , and academic circles, even actually promoted. 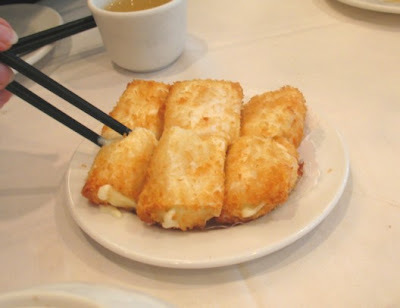 My twin YK, who is Chinese, says on occasion, we must go out for lunch. Despite the fact she has been married to a Caucasian for almost forty years she prefers Chinese food. Lunch to her means Dim Sum. 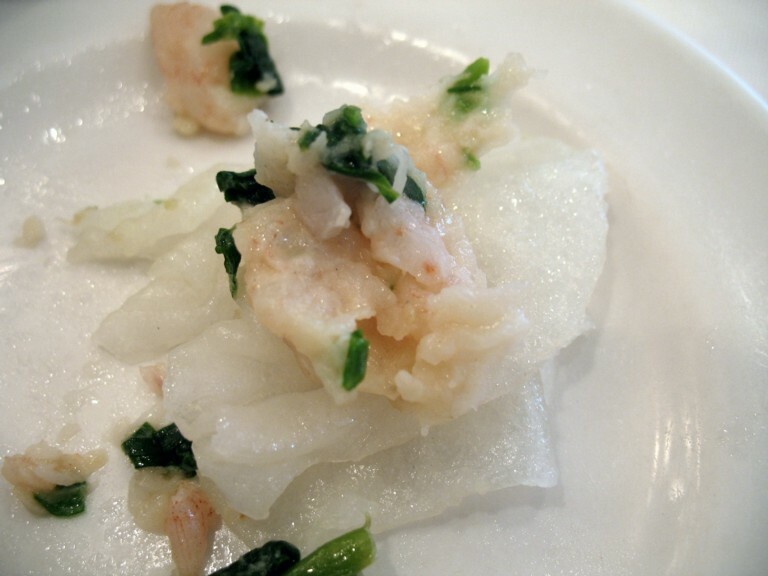 But Dim Sum is hopeless with two people since you can try so few items before you are stuffed, so we usually go to some other style of restaurant and she mutters a bit. 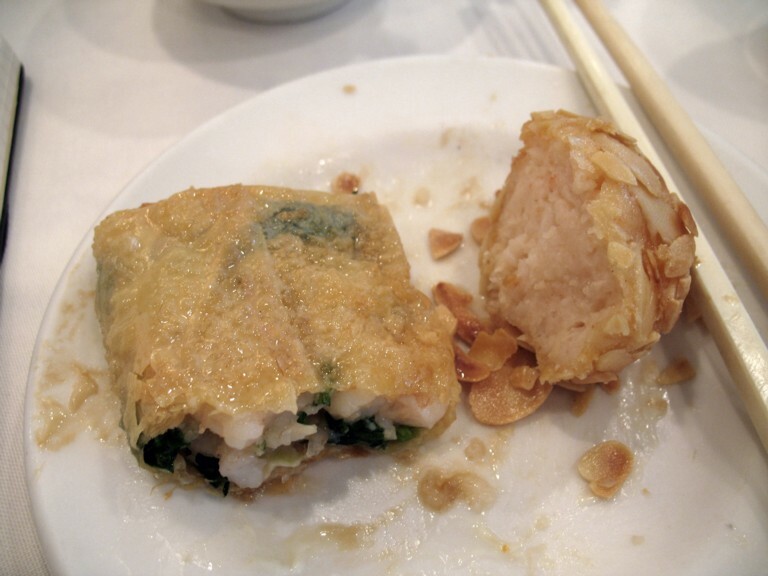 But yesterday was the last day in Vancouver for Kazuko, our Japanese friend and she loves Dim Sum so we gathered together 6, the perfect number, to go for Dim Sum. or on plates with three portions on each. 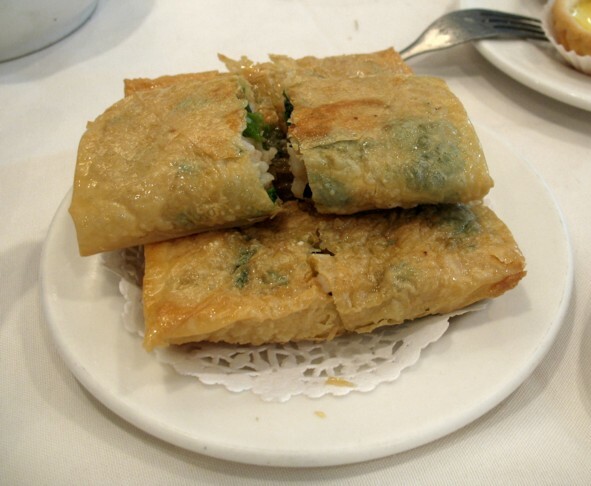 Now one in three in Vancouver are Chinese so there are many fine Chinese restaurants here. 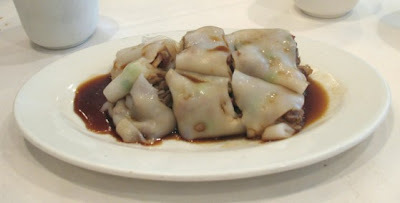 Luckily there is a Chinese restaurant, the Golden Ocean, quite famous for its Dim Sum close by and since Monday is a relatively quiet day we could make a reservation, for 11.30am: “Before it gets too busy,” said my friend. Definitely a bit early for lunch to my mind, but she’s the expert. 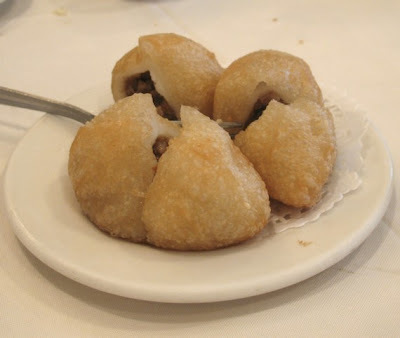 Now I know you did not follow the link, so let me tell you that Dim Sum is a wide variety of Chinese light food, served in small portions, with tea, lots of it, usually Jasmine. 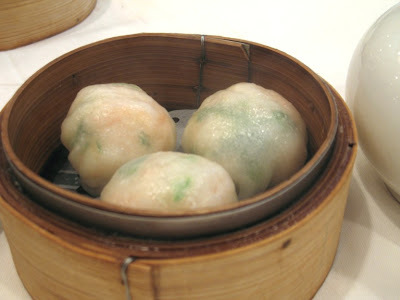 It is served from morning until lunchtime and is also called Yum cha which means tea drinking. 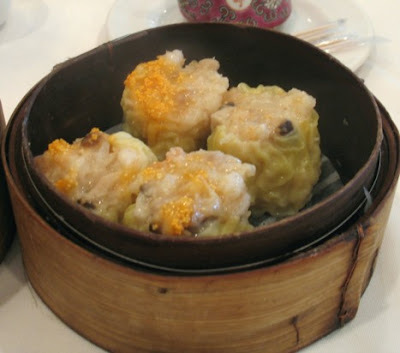 Service for dim sum is as follows: the different types of food circulate on warming carts pushed around the restaurant by the servers and they stop at the tables and you choose whether you will take this dish or that or none at all from that cart. Each table has an account and the server stamps your bill with the Chinese symbol for what you have chosen and you call for the addition when you have finished ordering. 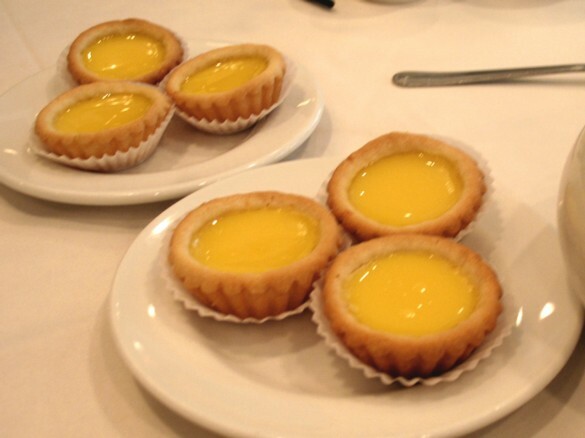 Despite the fact that there are many types of Chinese desserts YK does not have a sweet tooth but she always orders these egg tarts or dan tat, a flaky pastry with a baked custard filling, for her Caucasian friends and we are grateful for any kind of dessert at all. Actually they are delicious and a fine light finale to Dim Sum. They are also very popular and go fast so they are the first thing she orders. 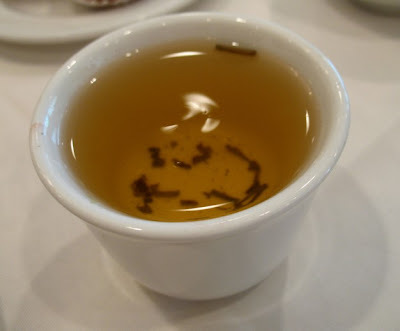 In fact when I arrived at the restaurant with Kazuko they were already in the centre of the table along with the Jasmine tea. Now I want you to appreciate that these photos and the information were obtained with great difficulty. As soon as the dishes arrive on the table my friends want to dive right in before the food gets cold. Understandable I know, so I get maybe one quick shot before a hand crosses the field of view and the plate is quickly emptied. Consequently the focus is not always the sharpest. “You are not going to put this on your blog, are you?” I am asked suspiciously. “Maybe,” I answer. “It depends on the photos.” “But the food is so blah,” they say. “So beige.” True enough. So there you have it, as a blog post it’s a mess but as a lunch it was delicious. And cheap. For the six of us, the total with a tip was $55. I hope you have a Chinese friend who can guide you through the intricacies of Dim Sum or maybe you can order for yourself. Just make sure you don’t get the chicken feet, deep fried, boiled, marinated in a black bean sauce and then steamed. Ugh! Quite a few people commented on the ring on my hand, which appeared for the Photo Hunt theme, Wrinkled recently. One even commented: “Are you a pharmacist? I should get one for my husband.” Obviously he is one too. I’m afraid it’s a one-off, custom made, although not for me specifically and as you can see it features the Pharmacy symbol, an upper case R with the tail made into an x. The Rx symbol, which traditionally has been part of a prescription and thus written by physicians, was adopted as a symbol of pharmacy long ago and although it has some varying explanations as to its origin one of the most commonly accepted one is that Rx is an abbreviation for the Latin word Recipe or “take thou,” used before listing the ingredients of the prescription, with x probably standing for the variable as each was different. While most prescriptions these days are written for commercially manufactured products, except for creams and ointments which pharmacists still mix or compound extemporaneously quite often , every prescription traditionally begins with the Rx symbol. To complete the Latin lesson for a prescription, Mitte or M appears before the number to dispense, which stands for Send and finally Sig, an abbreviation for Signa which means mark or label the prescribed item with the following directions which still are still often written with Latin abbreviations on the prescription. But back to the ring, which consists of a large flat oval of black onyx with the Rx symbol inlaid in gold which is held in a gold setting. The ring belonged to a very dear friend, one of the first people I met when I came to Canada. She was a professor at the Faculty of Pharmacy where I worked as a lowly lab instructor for a time and she always wore it on her hand. Everyone admired the ring greatly and it held a very special meaning for her. Her specialty was Manufacturing pharmacy which she had taught for some years and when she was doing graduate studies in Eastern Canada she came into contact with the owner of a pharmaceutical manufacturing company Charles E Frosst* and did some consulting work for him. Unpaid, of course, but he did show his gratitude by having this ring made and presenting it to her. Sadly my friend died of a brain tumour in 1986 at the age of 62 and her husband gave me this ring to remember her by and since I was a pharmacist too. I wear it often, although not all the time, since it is large and occludes the skin from air and traps moisture underneath so sometimes causes a rash. But I love it and I always think of her when I wear it, for she was like the older sister I never had. The ring does not have a very long history, from the early to mid fifties I would say, although I think it is an interesting one. I hope I can find some pharmacy person to pass it on to who might appreciate it both for its interesting history and because it is a very special ring which portrays the symbol of our profession. Just for completeness, a little about Charles E Frosst* who was actually born in the USA but came to Canada to live, however don’t feel obliged to read it. *When Charles E. Frosst & Co. was founded in 1899, the Canadian pharmaceutical industry was still in its infancy. From the start, Charles E. Frosst and his four associates made it clear that their company was an innovator, rapidly introducing new products such as the famous numbered analgesics known as 217® and 222® — products that are still used in Canada. During the 1920s, the company became family-owned and, as it grew, it consolidated its reputation for innovation. During the mid-forties, Charles E. Frosst pioneered nuclear medicine in Canada by developing the country’s first radioactive pharmaceutical products, for sale here and abroad. In 1965, Charles E. Frosst & Co. joined another, even more venerable pharmaceutical dynasty, Merck & Co., Inc. of New Jersey or Merck Sharp & Dohme (MSD) as it is known outside of North America.